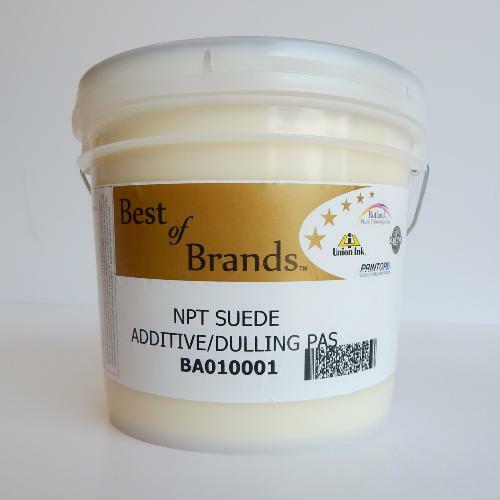 Mix the Rutland NPT Suede additive Dulling paste at 3% by weight into the wet plastisol before printing, to eliminate gloss after the printed garment is cured. Use it at 10 to 15% to create suede looking plastisol. This product should always be mixed in the correct ratio with a base. Choose from our Screen Mesh to find the ideal combination for printing your Plastisol Inks.